All COTTAGES AT HIDDEN C homes currently listed for sale in Riverton as of 04/26/2019 are shown below. You can change the search criteria at any time by pressing the 'Change Search' button below. 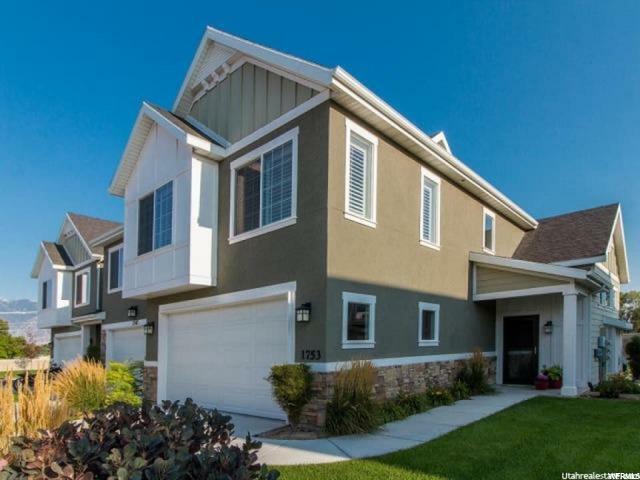 "Gorgeous Riverton townhome! Ideal location just west of Redwood Rd near 114th S. in beautiful, gated community! Home is in like NEW condition w/ EVERY UPGRADE possible in all the best color selections. Plantations shutters on windows! Upgraded carpet! Large, vaulted family room w/ fireplace. Gorgeous kitchen w/ stainless steel appliances, granite counter tops, wood tile, white cabinets w/a contrasting dark island. Bathrooms have slate tile & granite counter tops. Large master w/ vaulted ceiling. Square footage figures are provided as a courtesy estimate only. Buyer is advised to obtain an independent measurement."